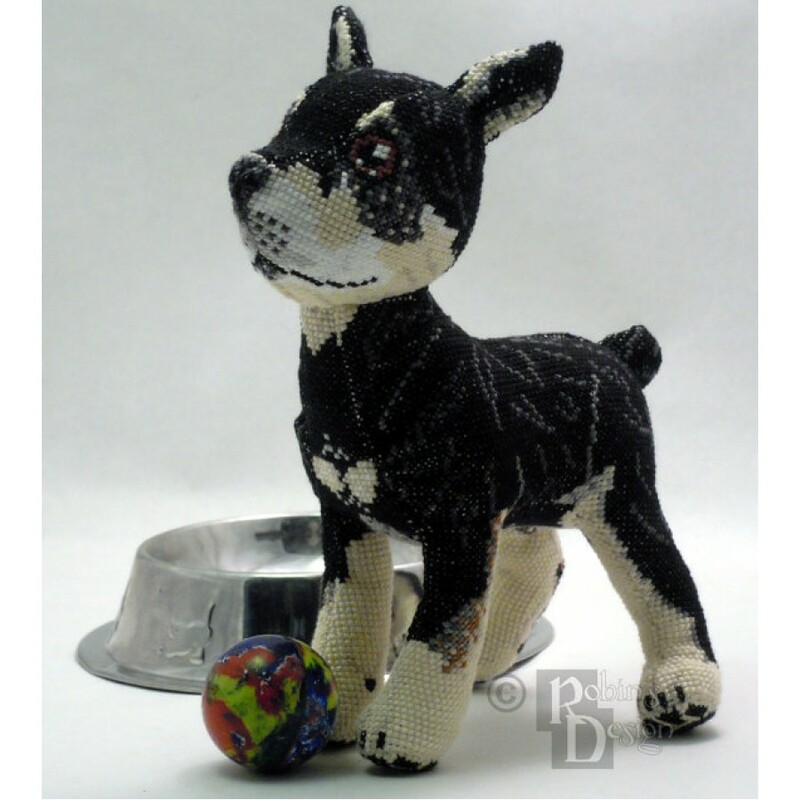 Here is a unique cross stitch pattern that will become a treasured keepsake of your beloved dog. The one in my example is my sweet girl. I duplicated her markings and colors down to the tiniest detail (there is even a speck in one of her eyes). I can make a pattern for you with the same attention to detail and then you can have the fun of stitching it. 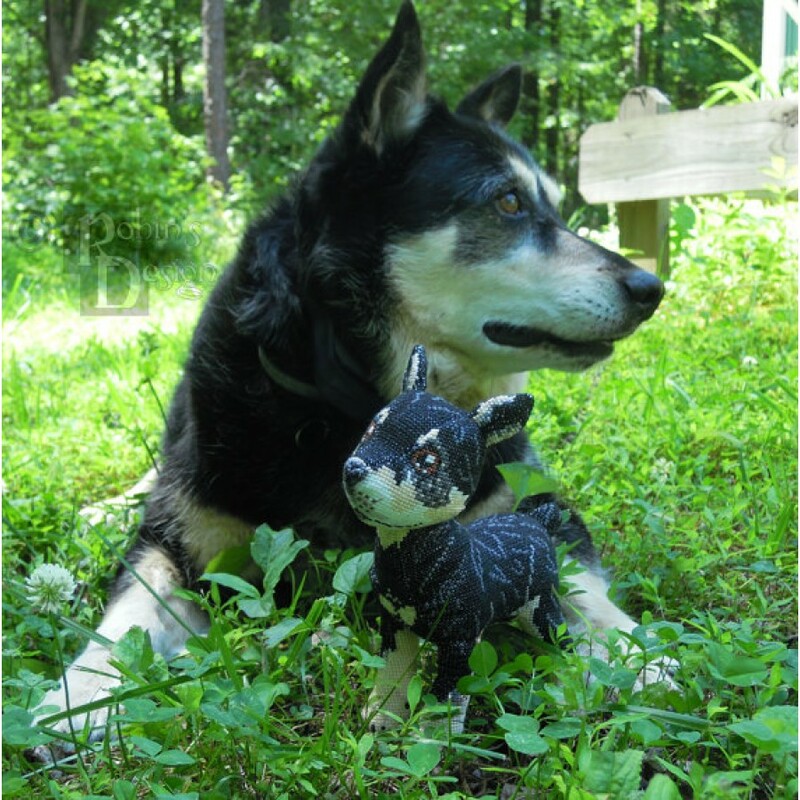 Most plush dog dolls are in one way or another inaccurate. I have tried to solve that problem with this little mutt. Her markings and eyes are what you will see on an actual dog. I've even included the "thumbs" and floating pads on the front legs. And what dog would be complete without paw pads? Who says that cross stitch is only good for flat things? Now you can stitch a doll using cross stitch for the details. 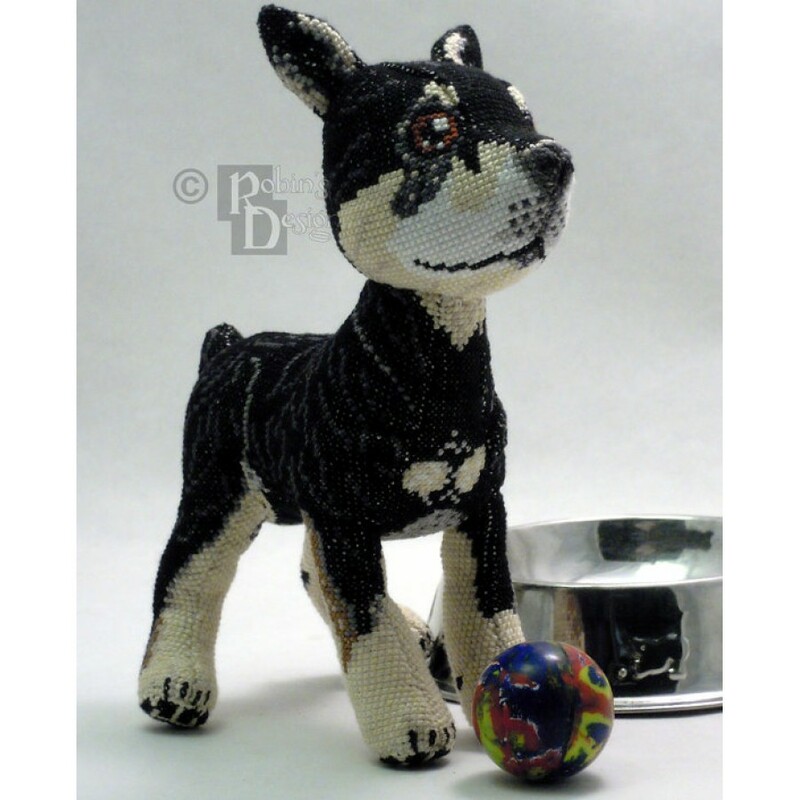 To make your dog pattern, I will need photos that show the dog on both sides, plus front and back and also the belly. If you have any special requests, I will try my best to meet them. 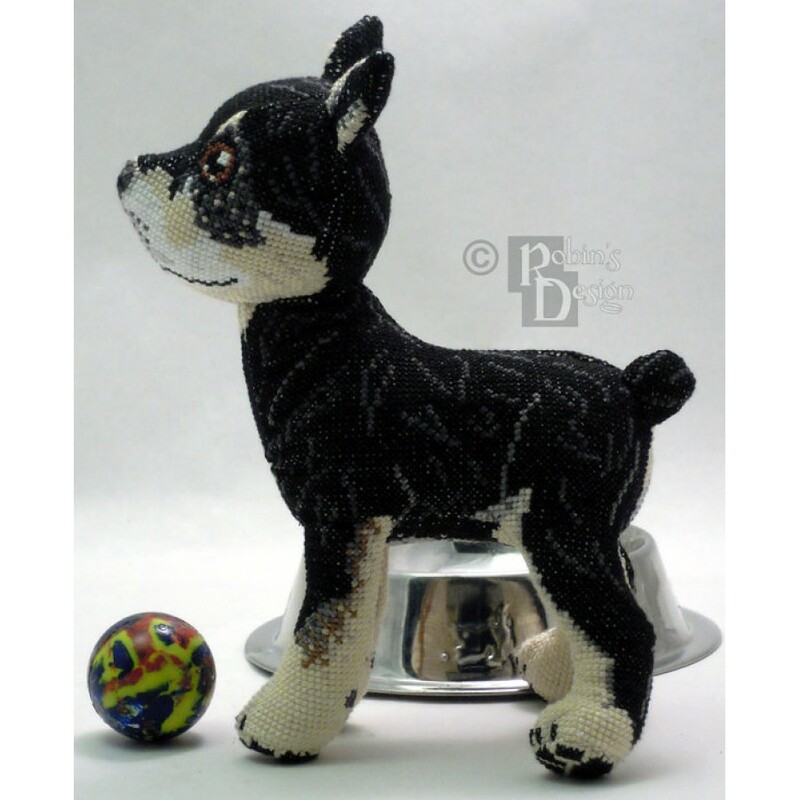 I have pattern pieces that will work with most any breed of dog. The animal is stitched as 18 pieces which are then cut out and sewn together. Full assembly directions with illustrations are included. Finished size is approximately 8" tall x 7" long from nose tip to back of tail when worked on 14 count fabric. The number of colors will vary based on your photos. Time will be needed for me to design your custom pattern, but I will try to make them within a week of receiving your photos. Pattern will be emailed as a PDF within 24 hours after receipt of cleared payment. All cross stitch patterns are copyright Robin Hobbs and are for personal use only. Reselling or redistributing patterns in any way is prohibited, unless given written permission by designer. Although, one finished work from my patterns are yours to do with as you please.